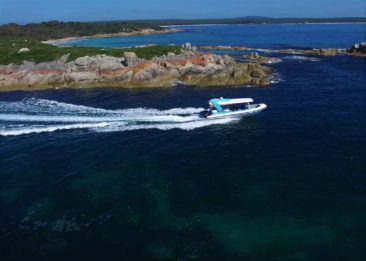 ‘INFURNEAUX’ is a 10.5 metre custom built RIB, a state of the art ECO-tourism vessel, it was designed in conjunction with Fred Barrett Yacht Designs in Hobart Tasmania. It is constructed from Foam Composite/Fiberglass and was built locally in the St Helens area. 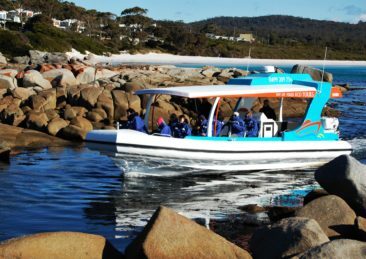 Weighing 3.9 tonne it can accommodate 18 passenger and 2 crew and complies with all Marine and Safety Tasmania requirements. 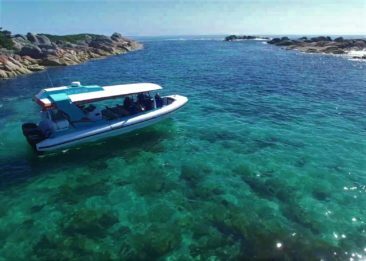 The deep V hull design along with 3 x 250 horse power, 4 stroke, low emission Suzuki outboards, allows for a smooth yet powerful ride. 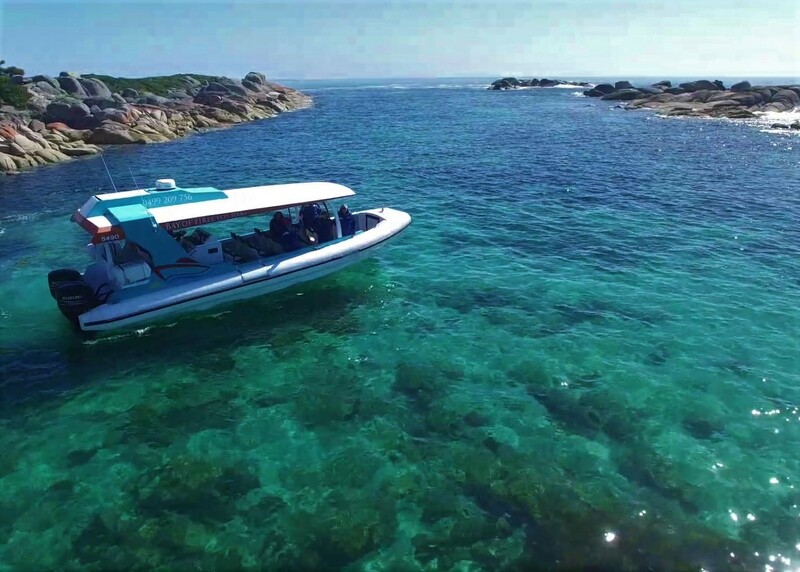 The overhead canopy and wrap around seating adds to passenger comfort providing an easy panoramic view from within the boat, for an up close to nature experience. 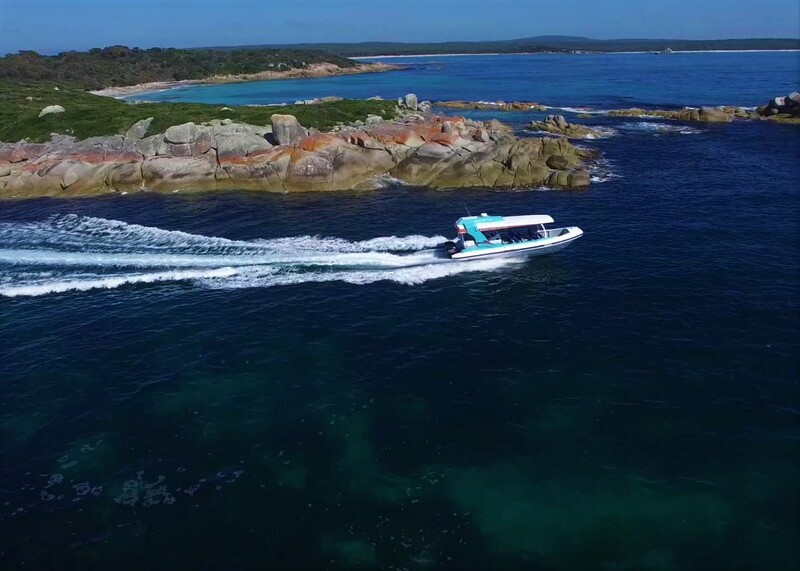 The boat is fully equipped with safety equipment as per the requirements of Marine and Safety Tasmania and all passengers are provided with a ¾ wet weather jacket. There is an on-board toilet, however we recommend passengers use the shore facilities prior to departure.